Prepare to be entertained, as multi-media artist and writer Mariko Tamaki brings her irreverent sense of humour and views on reality and fantasy in a story-telling medley as UBC’s latest Visiting Author. Tamaki presents her works on Tuesday, February 11, 7 p.m. in a free reading at the Okanagan Regional Library, 1380 Ellis St., Kelowna. Tamaki is a writer and performer whose work appears in print, on stage, and radio. She is the author of the novella Cover Me, creative non-fiction collections True Lies and Fake ID, and the Young Adult novel (you) set me on fire, published by Razorbill/Penguin in September 2012. Tamaki is the co-creator of graphic novels Emiko Superstar (with Steve Rolston) and Skim (with Jillian Tamaki) and the upcoming This One Summer (with Jillian Tamaki) due to be released in May by First Second/Groundwood Books. 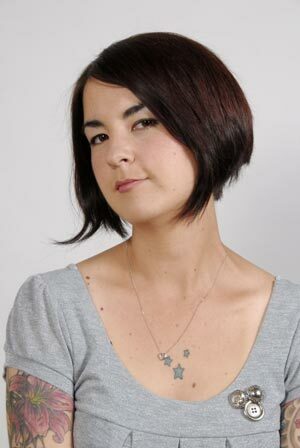 Tamaki has also performed stories -- about blood, unicorns, and lying to swimming instructors -- on CBC’s Definitely Not The Opera and as a fledgling stand-up comedian/storyteller on stage. She is currently working on a book about magic and California. The Visiting Author series is sponsored by UBC’s Faculty of Creative and Critical Studies, UBC Okanagan campus Bookstore, Okanagan Regional Library, and the Canada Council for the Arts. Another Visiting Author evening is planned for Wednesday, March 12 with acclaimed poet and food writer Gerry Shikatani, UBC’s Writer in Residence.